It's 3 days until Christmas. Are you ready?! I am hosting the Christmas design team challenge on the Riley and Company blog. 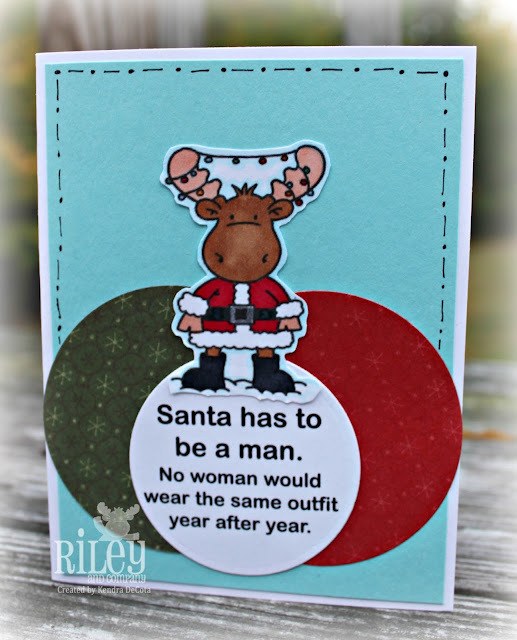 For my card I have used the sentiment called Santa is a Man and paired it with the image called Antlers Riley. You can find both of these stamps at the Riley and Company Store. Have a great week and Merry Christmas!!! !